I was so excited to see the sun out on Saturday after a washout of a week that I put on the brightest clothes I could find. 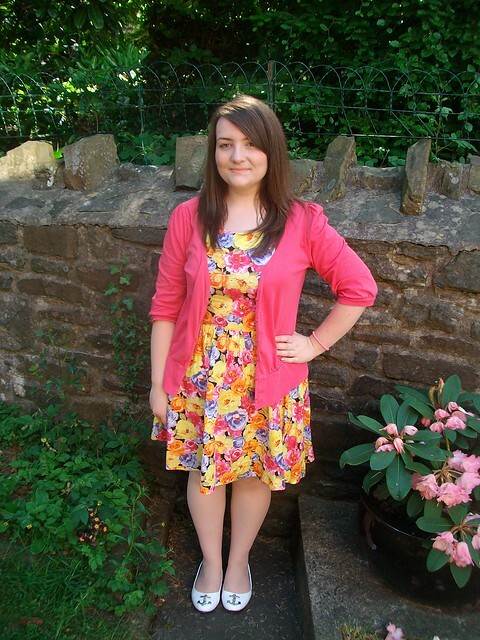 I've had the cardi for years and picked it up in the M&S sale and I got the dress from a charity shop. I wanted it when it was in store a couple of year ago but couldn't find it in my size and tried to bid on it a few times on ebay. I only paid £3 for the dress and it still had the tag on, I love charity shops! This is as scheduled post because I'm currently in the best conference venue EVER! Gregynog Hall, I went last year and loved it and took some gorgeous photos which you can check out here. That dress is amazing! I think you're totally rocking it, and what a flippin bargain! Gorgeous outfit, I tend to get to the point that I wear my bright summer clothes in the hammering down rain because I get fed up of not being able to wear them! 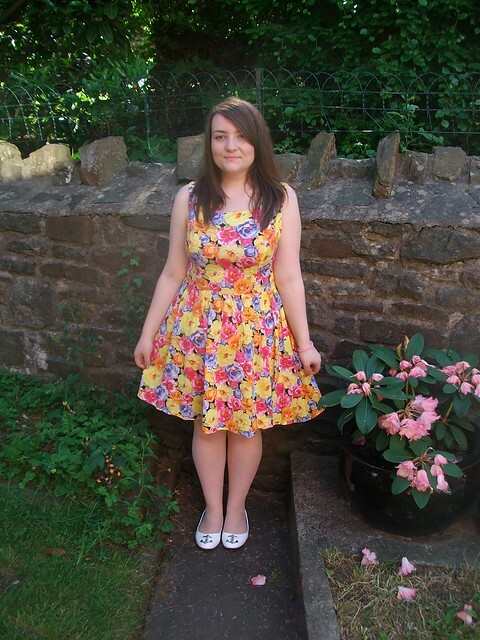 Love this dress, it's so bright and cheerful! The dress is gorgeous, so cheerful! That dress fits really really nicely, and from a charity shop too! Good thrifting. I love it when you find bargains like this, you look amazing! Oh that dress is so pretty Gemma!